The Solatube Blog > What’s the Top Workplace Perk? You Might Be Surprised. In the workplace, there are a lot of things that are provided as perks. But the one that bubbles to the top might not be what you’d expect. A recent Business Insider article cited a Future Workplace study for the Harvard Business Review that identifies natural light in the workplace as a major benefit for employees. In fact, the survey of 1,614 North American employees “found that ‘access to natural light and views of the outdoors’ was the most popular perk of all, beating out other things like cafeterias, gyms, and on-site childcare.” of the environment we are exposed to for 90% of our day. Often, the current situation in workplace environments provides quite the opposite situation. The majority of workspaces lack an abundance of natural lighting, resulting in workers being less happy and more tired, increasing the likeliness of poor work quality or employees missing work completely. The article stated that “47% of employees admit they feel tired or very tired from the absence of natural light or a window at their office, and 43% report feeling gloomy because of the lack of light”. When the employees are fulfilled in their workplace environment, they are more engaged, produce higher quality individual work, and are much happier in general, which creates a more enjoyable work space. “The Future Workplace Employee Experience Study found 78% of employees say access to natural light and views improves their well being and 70% report improved work performance.” So it’s not just a perk for them, but also a benefit to the companies where they work. So how do you bring natural light into commercial buildings, especially in interior spaces where there are no windows? One of the ways the most progressive companies are doing it is with tubular daylighting. This top-lighting approach captures sunlight through a dome on the building’s roof, with technology that brings it in from virtually any position within the sky. The light is then sent down a highly reflective tube (whether through open ceilings or drop ceilings), into the space below through fixtures that deliver beautiful, diffused light. Tubular daylighting is the simplest and smartest method of capturing natural daylight and distributing it through your workplace while minimizing heat gain. The originator and leading innovator in tubular daylighting is Solatube, which provides effective workplace solutions to help ensure employees feel good, are happy and more productive throughout the day. Its daylighting products improve the environments in every type of workplace and support employee wellbeing for virtually all occupations. For example, in factories, warehouses, airports, and other facilities with very high ceilings and large volume areas, Solatube’s SkyVault can be integrated. This tube is the largest of the three offered in the commercial space, delivering a massive amount of light to brighten large spaces, all the way down to the work area. Offices and retail spaces can bring in natural light with the SolaMaster series, which provides the same brilliant natural light, but for ceilings between 10’ and 25’. On the smaller side, the Brighten Up Series can be used in any type of business for tighter spaces like bathrooms, hallways and nooks. And all three series allow you to control the level of natural light in your space with optional dimmers. 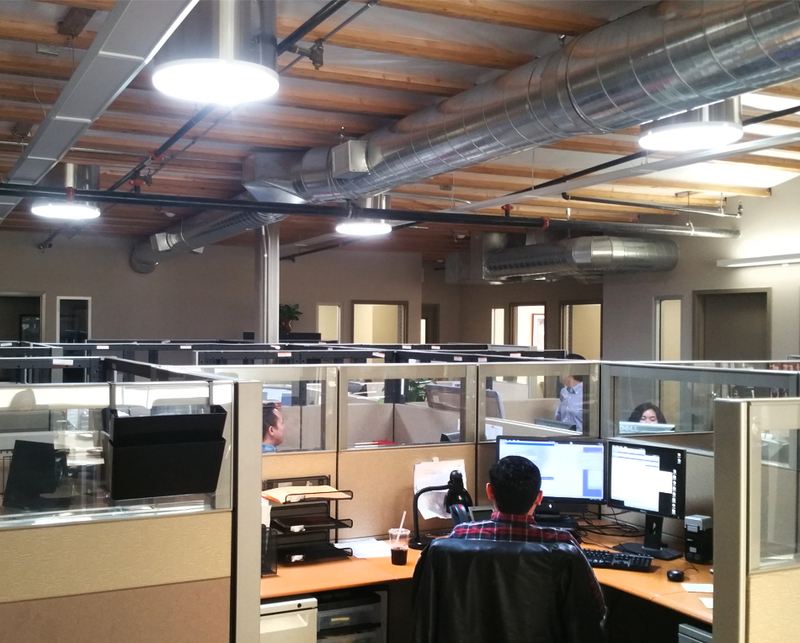 If you want to learn how to maximize natural light in your commercial workspace, you can call 888.SOLATUBE to set up a free consultation or visit Solatube.com to find your local distributor.